True to form, USCBP initially refused to investigate or respond to the ACLU’s complaints regarding interior roadblock and roving patrol operations and only grudgingly began releasing documentation after a FOIA lawsuit was filed in 2014. Over a year later, only a fraction of the thousands of responsive documents had been released to the ACLU by USCBP and what was released had been heavily redacted. U.S. Customs & Border Protection then declared it was done cooperating with the FOIA request and refused to release anything further. In response, the ACLU published a preliminary report based upon what had been released while at the same time appealing to the federal judiciary regarding the heavy redactions in the released documents and the thousands of remaining documents that hadn’t been released at all. Government records obtained by the ACLU shed new light on Border Patrol’s vast interior enforcement operations, most of which occur far from any international border. Though Border Patrol says these operations are “safe, efficient, and cost-effective,” the agency’s own records undermine those claims, revealing a systemic lack of oversight and accountability for agents who violate border residents’ most basic civil and constitutional rights on a dramatic scale. These documents show that Border Patrol’s extra-constitutional police practices often amount to a de facto policy of “stop and frisk” for border residents. Specifically, though the complaint records obtained by the ACLU to date are incomplete and taken from just two of Border Patrol’s twenty sectors, they significantly outnumber the civil rights complaints DHS and CBP disclosed to Congress during the same period. For example, from Fiscal Year 2012 through Fiscal Year 2013, DHS oversight agencies reported just three complaints involving alleged Fourth Amendment violations, nationwide. Yet government records produced to the ACLU reveal that at least 81 such complaints originated in Tucson and Yuma Sectors alone during the same period (with at least 38 more through just part of FY 2014). The records contain recurring examples of Border Patrol agents detaining, searching, and terrorizing individuals and entire families at interior checkpoints and in “roving patrol” vehicle stops far into the interior of the country; threatening motorists with assault rifles, electroshock weapons, and knives; destroying and confiscating personal property; and interfering with efforts to video record Border Patrol activities. They reference dozens of false alerts by Border Patrol service canines resulting in searches and detentions of innocent travelers. Above all, these documents show a near-total lack of investigation of, much less discipline for, egregious civil rights abuses; to the contrary, some of the records show Border Patrol tacitly or explicitly encouraging its agents to violate the law. Finally, CBP’s own data calls into question the agency’s claims that interior checkpoint operations are an efficient and effective enforcement strategy. For example, CBP apprehension statistics show that for 2013, Tucson Sector checkpoint apprehensions accounted for only 0.67 percent of the sector’s total apprehensions. In calendar year 2013, nine out of 23 Tucson Sector checkpoints produced zero arrests of “deportable subjects.” The same year, Yuma Sector checkpoint arrests of U.S. citizens exceeded those of non-citizens by a factor of nearly eight (and in 2011, by a factor of 11). One checkpoint in Yuma Sector, located 75 miles from the border, reported only one non-citizen apprehension in three years, while producing multiple civil rights complaints during the same period. Despite the Supreme Court’s prohibition on general “crime control” checkpoints, these records indicate that Border Patrol checkpoint activities are more often directed at drug busts than at immigration enforcement. It makes one wonder what it is USCBP is trying to hide by refusing to release thousands of additional documents responsive to the ACLU’s FOIA request. Government transparency is critical to maintaining a functional democratic polity, where the people have the information needed to check public corruption, hold government leaders accountable, and elect leaders who will carry out their preferred policies,” he wrote. 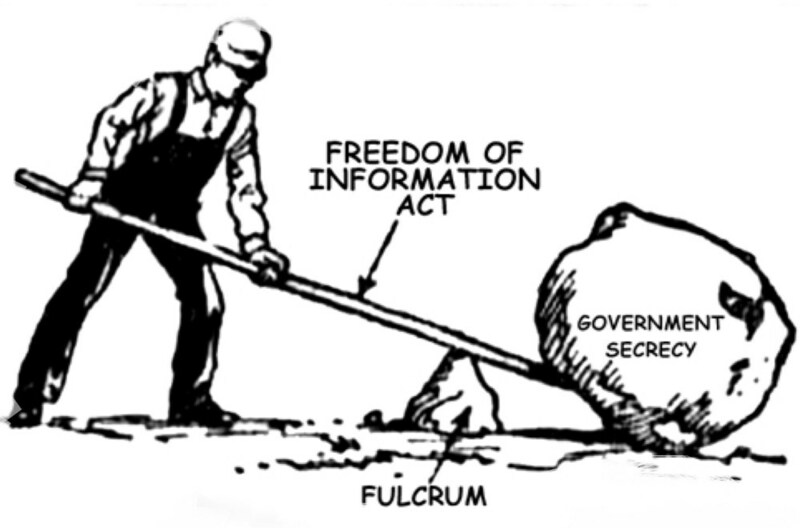 The result, he said was FOIA, which is designed “to facilitate public access to government documents by establishing a judicially enforced right to secure government information from possibly unwilling official hands. USCBP’s contention that releasing data regarding the nationality & skin color of people stopped by agents was a violation of their privacy is laughable since personally identifiable information regarding such individuals was not being requested. Since the USCBP claims their drug sniffing dogs are reliable and certified, USCBP can’t withhold documentation related to the certification and reliability of the K-9 units routinely employed at interior roadblocks. While all of these points are common sense to most of us, it’s clear that USCBP leadership is not only full of individuals with little in the way of common sense but also individuals who have little more than thinly veiled contempt for the rule of law, individual rights and government transparency. What else would one expect however from agents of an agency that routinely stops, seizes, detains and demands individuals answer investigatory questions absent any reasonable basis to believe they’ve violated any law while at the same time ignoring their legal mandate to answer questions and provide access to public documentation to the very public the agency claims to serve and protect.